If you are reading this post, then you are probably suffering or have suffered from a book hangover. 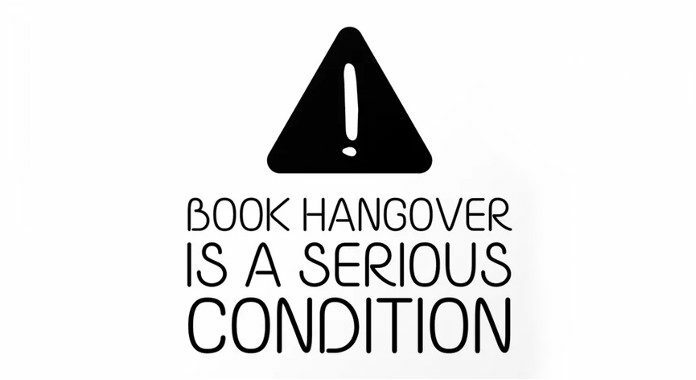 I know it is not at all easy to cope with this hangover phase and that is why the reader needs to know all about the cure from a book hangover. I guess I don’t have to explain what it feels like to be in a book hangover (Read this if you still want to). The crying on that character’s death, pissed off on some stupidity of the character, smiling, laughing and all other feelings you have been through is already leading you towards your book hangover. The very first thing you need to do is: Take a deep breath! There are the times when you sit with the book you have just finished, tears in your eyes and baffled about what to do next. At that moment, reality doesn’t please you much and the fictional world has just ceased to exist. You know pretty much well about it, but what about the ways to cure this book hangover, which is clearly inevitable. How to Cure a Book Hangover? Here I present you some of my all-time proven ways to get over a book hangover and make sure you do not miss any of them. Remember when you speed up your reading pace, without actually relishing the soul of the book. The only thing you cared about at those times was to finish the book. This is the symptom of the initial stages of a book hangover. But the fact is, by doing this you might distort the essence of the book. Rushing towards the end while reading the book is a blunder to do. This might affect your relationship with the characters and would be of least help in curing the book hangover. I know it is hard to be on that roller coaster ride of emotions after reading an intense book. Don’t run away from the feelings of a book hangover. Let it sink in. Let it stay with you for a bit longer time. You have been waiting for this moment since day 1 of your reading and now you need to show your gratitude to the author. 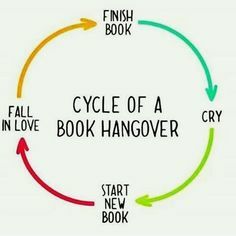 You have already dive into the book hangover phase. Now the question arises how it exactly feels? When I had finished, one of my favorites, All the Bright Places by Jennifer Niven, the moment I looked around, I found myself out of the place. People were so casual like nothing had happened. And then, there was me sitting, thinking how can Finch be so mean and cute at the same time, how bravely Violet Markley have gone through this journey. That book gave me an absolute form of a book hangover. Once I finish reading an intense book, the next book I pick is a light read. 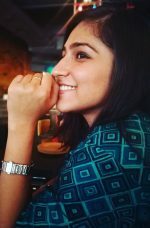 The books with a pretty straightforward plot which might not get you into the flood of emotions. I would recommend you to go to Sudha Murthy Books, the way she weaves words in a simple yet aesthetic way is amazing to read. She is surely the best author in order to cure a book hangover. And if you are brave enough for another intense book then brace yourself. Set your hands on another fantasy land and let it shape around you. This is the best and the most effective way to get over your hangover. The more you talk about the story, the more you will be at ease. Vent out your feelings with the people who have been through the same phase. They will not get annoyed, they will not complain about your rantings and they will never laugh at your feelings. All you need is a sense of empathy. As wisely said, sharing your problem with others eventually makes it a less bit of problem for you. So for the same, you can be on the Vowelor App which helps you discover the book clubs, join the groups and chat with your fellow readers and get over from your book hangover. Don’t let your book hangover slow down your passion for reading. It’s just a phase and it shall pass too. You need to know that lamenting over fictional characters is not a bad thing. I consider it an omen of being a good person. You are good enough to understand the emotions of the people who do not exist. You have powers to understand and empathize which is absent in many. 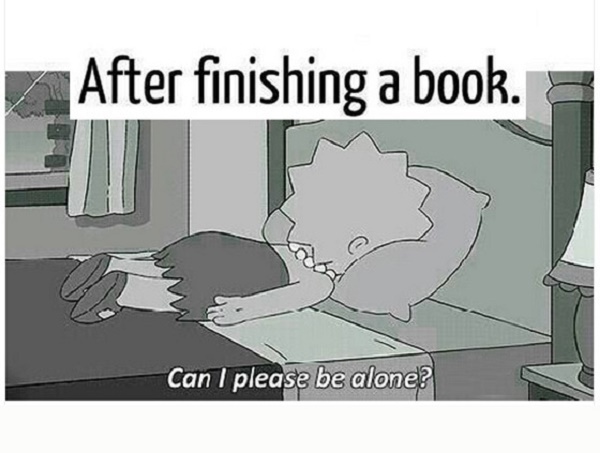 So, cheer up and grab another book! Share your personal thoughts and feelings while been into the Hangover phase in the comments below. I will be happy to read them all and maybe help you out with your book hangover.